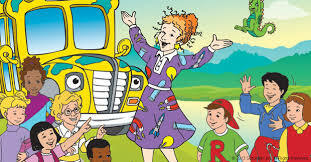 In celebration of our final class of “The Magic School Bus”, we are planning a real “Magic School Bus” adventure! Students will take a bus ride to Henderson Park where they will participate in learning stations about nature. This program will be presented by the “Lower Merced River Stewardship Program”. Any parents who may want to participate in this field trip will need to follow the bus in their own car as we don’t anticipate enough room on the bus for parents (or siblings) to ride also. Also, any siblings that are not signed up with the first grade, second grade or third grade T3 classes will not be guaranteed a spot to participate. Please send a lunch for your child that is clearly labeled with your child’s name. We will have a short lunch break before we board the bus to return to Hickman Charter School. We plan to eat lunch at 12:30 p.m.
****IMPORTANT: If you decide to drive your child home from Henderson Park, you will need to “sign your child out” by signing a form that his/her teacher will have with them at the end of the program. "Please let this be a normal field trip." "With the Frizz...NO WAY!"